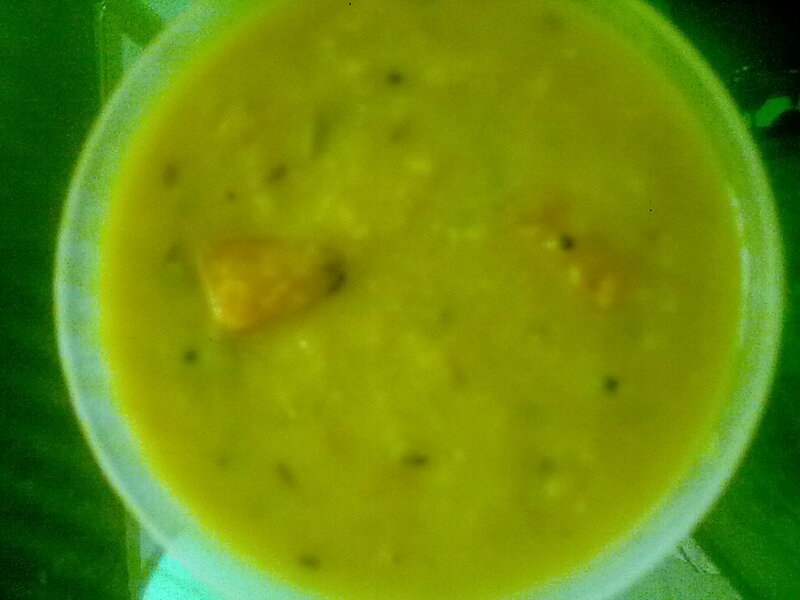 A very basic dal fry recipe which is one of the best combinations with steamed rice/jeera rice. Wash the dal well and keep it soaked for 10-15 min in water. Put 1 tspn oil or ghee in a non-stick pan. When the oil is hot add a pinch of hing and 1/2 tspn mustard seeds. Once the mustard seeds splutter add the cumin seeds. Now add the chopped green chillies(slit) and onion. Let it cook for a min, then add the cooked dal. Add salt if required and cook the dal to the desired consistency by adding water(if required).Garnish with coriander leaves.